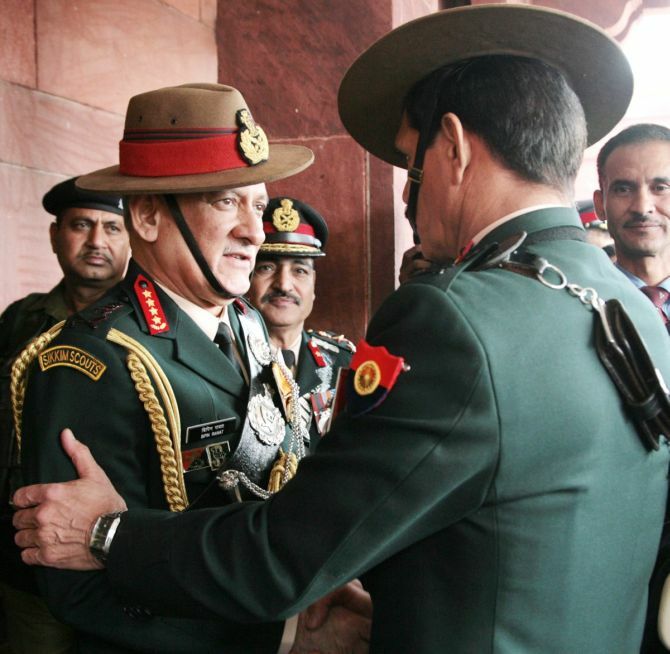 Lieutenant General Bipin Rawat on Saturday took over as the 27th chief of the Indian Army, succeeding Gen Dalbir Singh Suhag, who retired after 42 years of service. 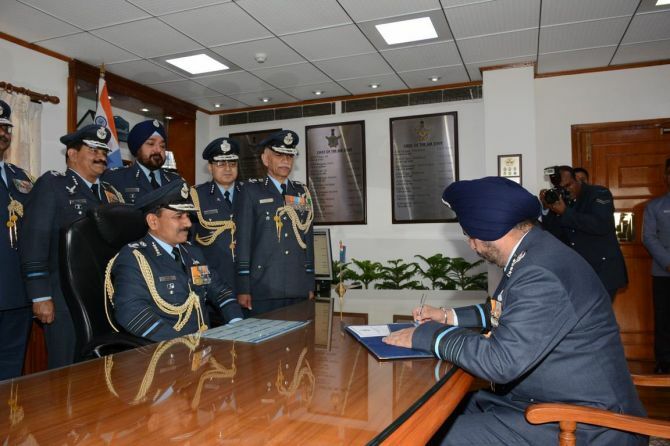 Air Marshal Birender Singh Dhanoa also took charge as the 25th Air Force Chief replacing Air Chief Marshal Arup Raha. Gen Rawat superseded two senior most Lt Generals, Praveen Bakshi and P M Hariz. Lt Gen Bakshi, who heads the Kolkata-headquartered Eastern Command, announced ‘full support’ to the new chief and told theatre officers through video conferencing he will continue to lead with ‘full professional sincerity as hither-to-fore’. 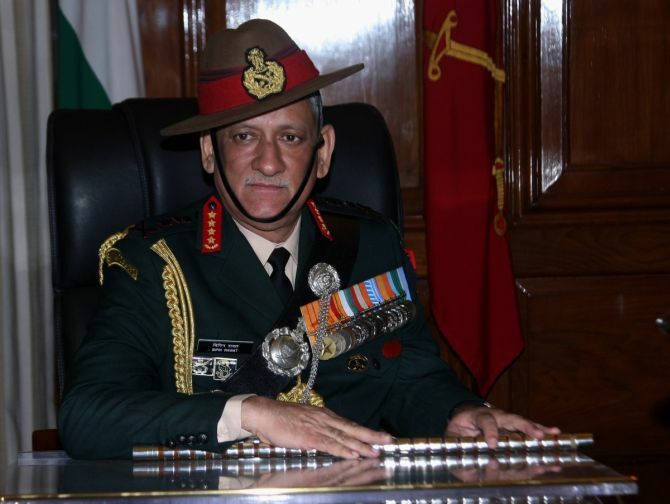 “I convey my best wishes and full support of Eastern Command to Gen Bipin Rawat on having taken over as the Chief of Army Staff,” he said. Earlier, there was speculation that Lt Gen Bakshi may resign or take premature retirement. He had also met Defence Minister Manohar Parrikar recently. He requested that speculation and trolling in media and social media should stop and everyone should focus on contributing their best to the betterment of the army and the nation. The Eastern Commander called the new Army chief to congratulate him on taking over the reins of the army. Speculation is rife that Lt Gen Bakshi may be given the new post of Chief of Defence Staff, pertaining which Parrikar will meet Prime Minster Narendra Modi next month. Sources, however, have indicated that no such development will take place. 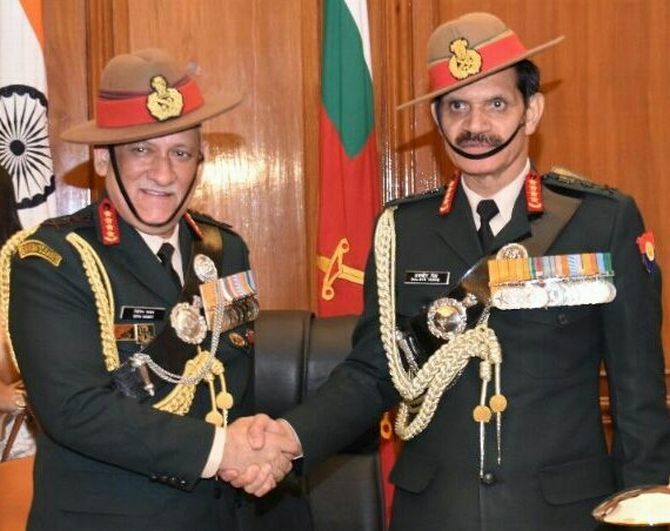 Gen Suhag, who superannuated on Saturday, said army is prepared to meet any challenge as he thanked the government for ‘providing a free hand’ and implementing the One Rank One Pension scheme. He said that infiltration bids had increased during the year and the number of terrorists killed was nearly double the previous year. The General said the army focused on operational preparedness during his tenure. Suhag said that when he had taken over he had asserted the response of the army to any action against our interest would be immediate, adequate and intense. “Indian Army has done that in the last two-and-a-half years,” he said. 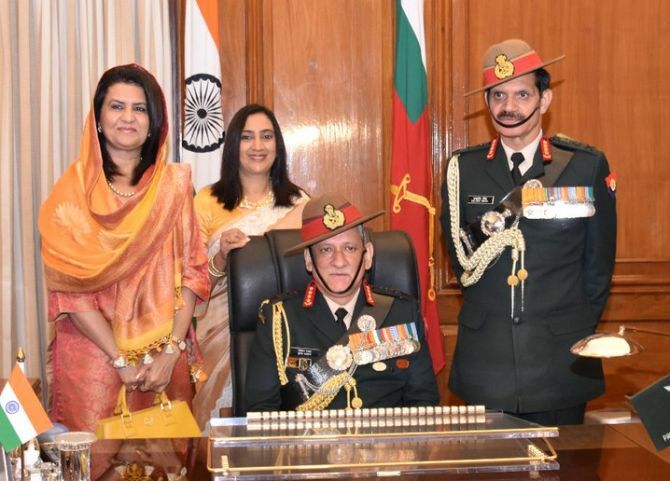 Later at noon, he handed over the charge to Rawat, who was commissioned in the Fifth Battalion of the Eleven Gorkha Rifles in December 1978 from IMA, Dehradun. He was awarded the ‘Sword of Honour’ at the academy. 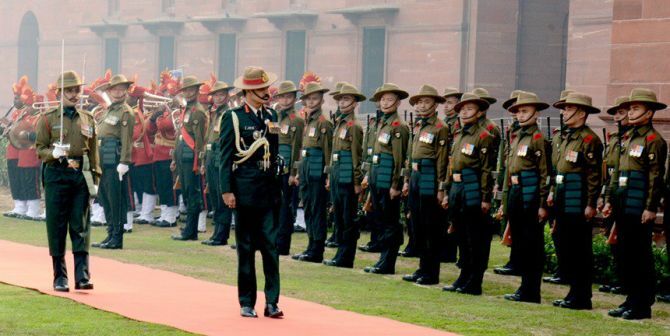 Earlier in the day, Gen Suhag and Air Chief Marshal Raha paid tributes at Amar Jawan Jyoti and inspected the guard of honour. 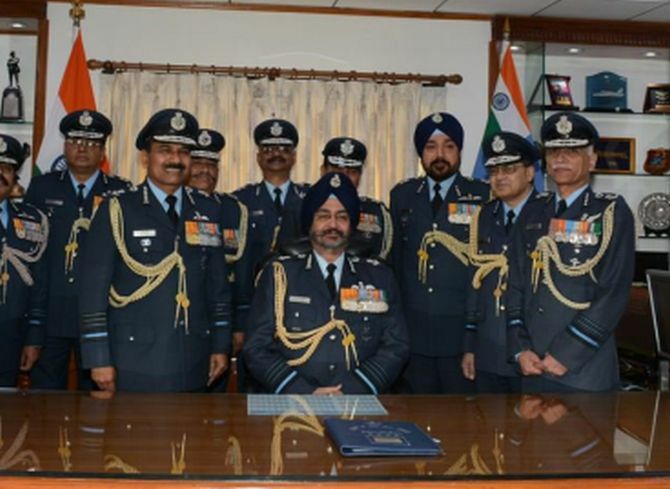 The new IAF chief, Air Marshal Dhanoa, had developed the country’s aerial targeting philosophy against potential adversaries and transformed the concept of air operations of the air force into contemporary war fighting practices. 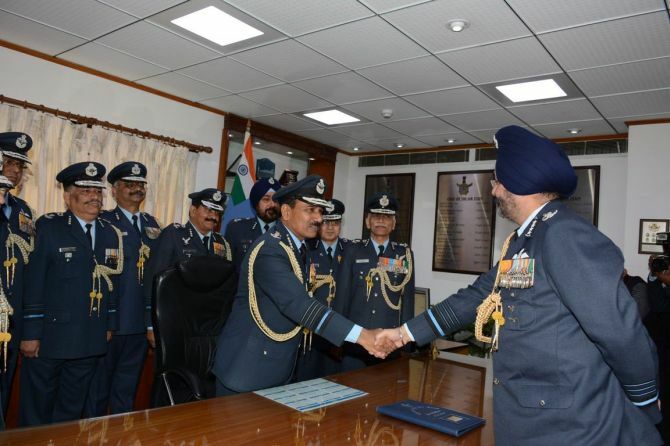 He has mainly flown Kiran and MiG-21 aircraft though he has the experience of flying the entire spectrum of fighter aircraft from Jaguar to state-of-the-art MiG-29 and Su-30 MKI. The Air Marshal has many feathers in his hat. 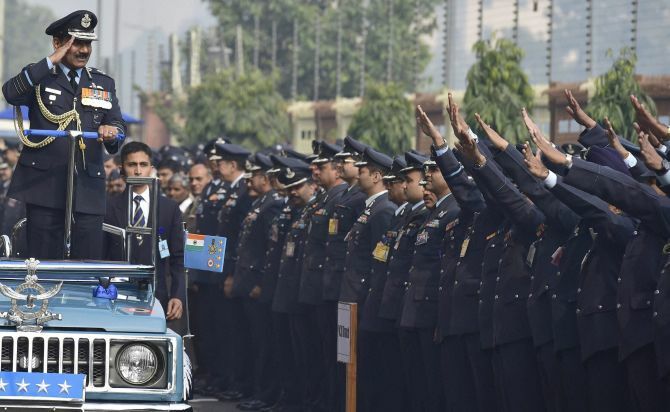 As the commanding officer of a frontline ground attack fighter squadron, he led the IAF punch during the ‘Limited War’ against Pakistan to drive the enemy out of their ‘dug in’ defences in the icy heights of Kargil region. During the conflict, under his leadership and supervision, the squadron devised unique and innovative methods of bombing at night at altitudes never before attempted in the history of air warfare, the IAF said. Prior to the attack, the squadron had been adjudged as the best fighter squadron of western Air Command for its high degree of professionalism and peace-time training. After the conflict, it emerged as the most decorated IAF unit of Kargil War. He also holds the highest flying instructional category in the IAF and was handpicked to establish the ‘IAF Training Team’ abroad. Gen Rawat has vast experience in high altitude warfare and counter-insurgency operations. He commanded an infantry battalion, along the Line of Actual Control in the Eastern Sector, a Rashtriya Rifles Sector and an Infantry Division in the Kashmir Valley, a Corps in the Eastern theatre and the Southern Command. He has tenanted instructional appointments at Indian Military Academy and at Army War College, Mhow. Gen Rawat has held important staff appointments at Directorate General of Military Operations and Military Secretary’s Branch at Army HQ. He has also been Major General General Staff at HQ Eastern Command. The General commanded a Multinational Brigade in a Chapter VII mission in the Democratic Republic of Congo. While serving with the United Nations, he was twice awarded the Force Commander’s Commendation. An alumnus of Defence Services Staff College, Wellington, he has been awarded various medals of high honour for gallantry and distinguished service in a span of over 38 years in uniform. He also attended the Command and General Staff College course at Fort Leavenworth, Kansas, the United States. Academically inclined, Rawat has authored numerous articles on national security and leadership, which have been published in various journals and publications. He was awarded M.Phil in Defence Studies from Madras University. He has a Diploma in Management and another Diploma in Computer Studies. Gen Rawat has also completed his research on military media strategic studies and was awarded Doctorate of Philosophy from Chaudhary Charan Singh University, Meerut in 2011.